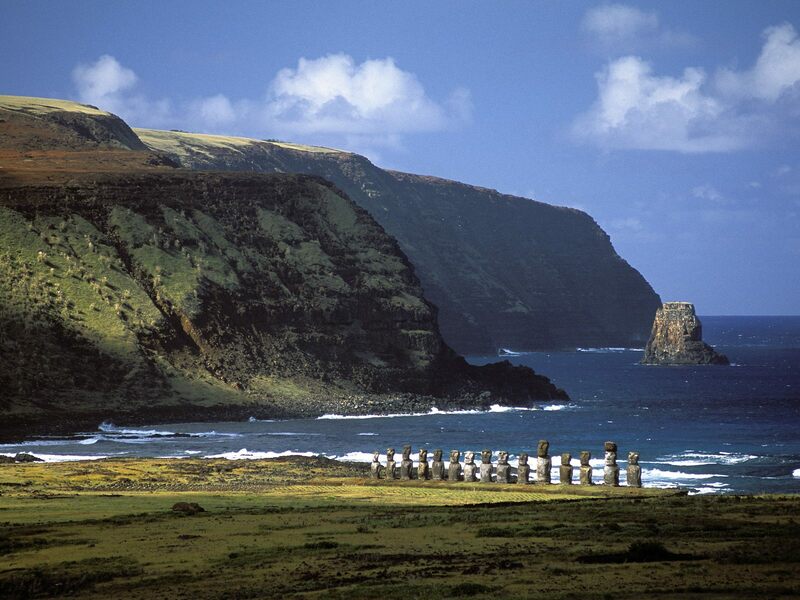 Easter Island (Polynesian: Rapa Nui ("Great Rapa"), Spanish: Isla de Pascua) is an island in the south Pacific Ocean belonging to Chile. 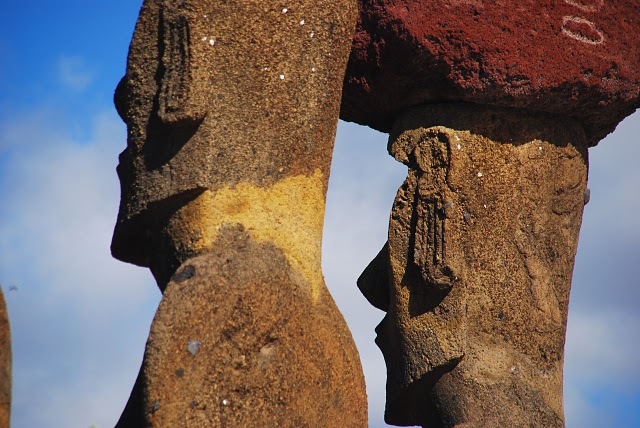 Although located 3,515 km (2,185 miles) west of continental Chile, it is administratively a province (with just one "comuna") of the Chilean Valparaíso Region, together with its closest neighbour, Sala-y-Gomez, 400 km further East. 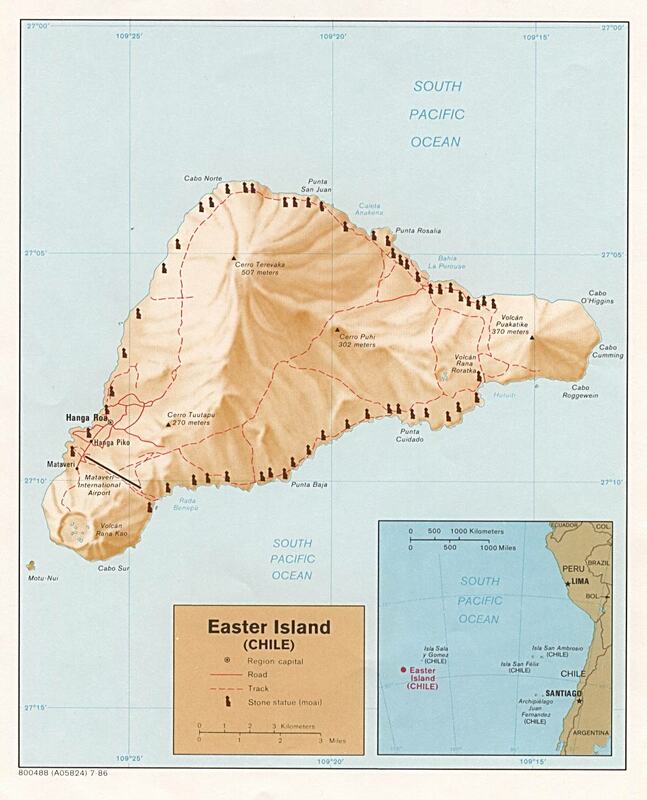 The island is approximately triangular in shape, and is located at 27°09' S 109°25' W. The latitude is similar to that for the Chilean city of Copiapó, north of Santiago. 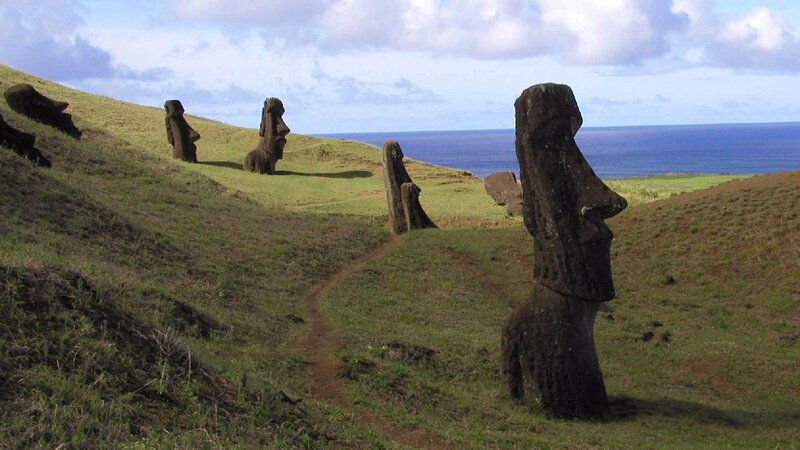 The nearest inhabited land is Pitcairn Island, located 2,075 km (1,290 miles) to the west. 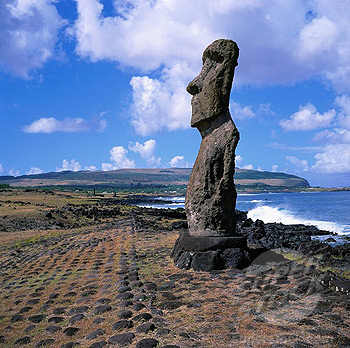 The island has an area of 163.6 km² (63 sq. 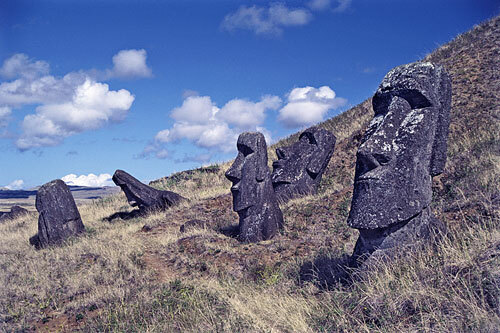 miles), and a population of 3,791 (2002 census), 3,304 of which live in its capital city Hanga Roa. 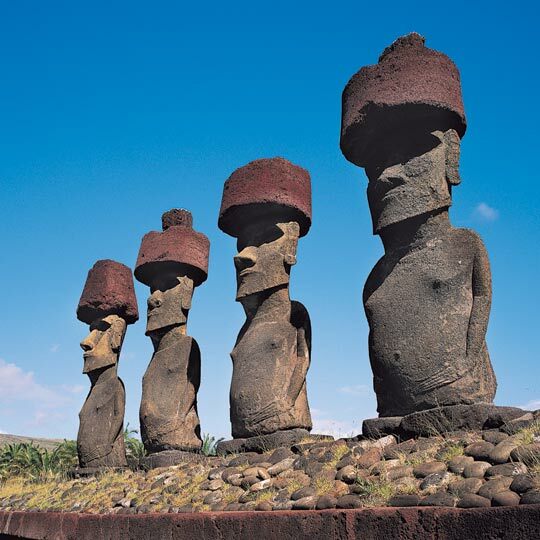 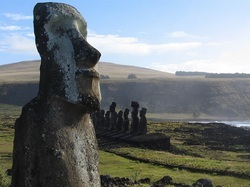 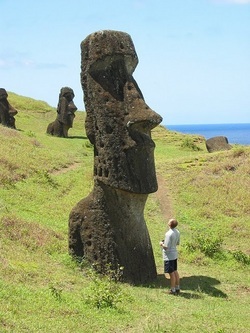 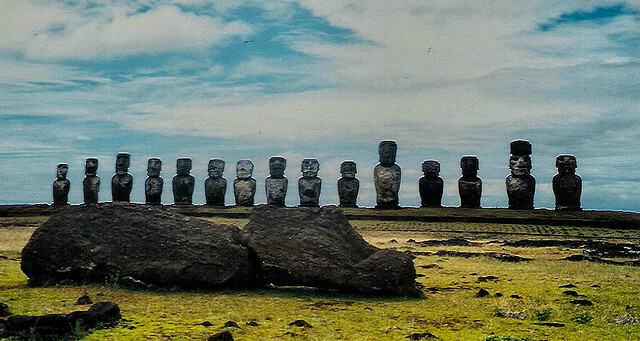 The island is famous for its numerous moais, 400-year-old stone statues now located along the coastlines. Basically these theories state that a few centuries after Easter Island’s initial colonization the resource needs of the growing population had begun to outpace the island's capacity to renew itself ecologically. 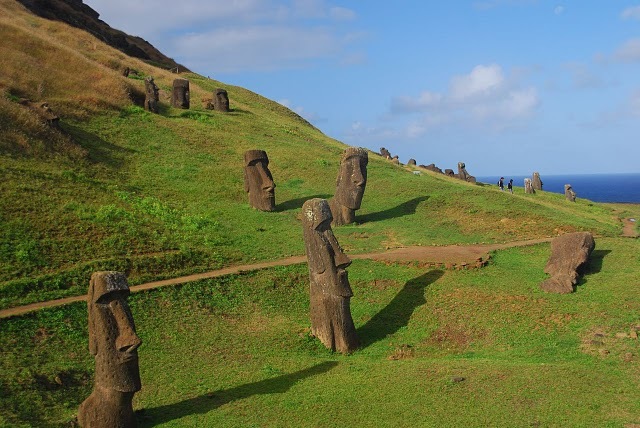 By the 1400s the forests had been entirely cut, the rich ground cover had eroded away, the springs had dried up, and the vast flocks of birds coming to roost on the island had disappeared. 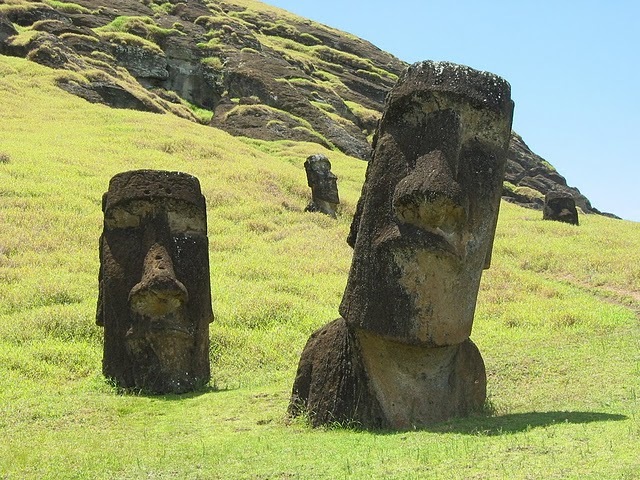 With no logs to build canoes for offshore fishing, with depleted bird and wildlife food sources, and with declining crop yields because of the erosion of good soil, the nutritional intake of the people plummeted. 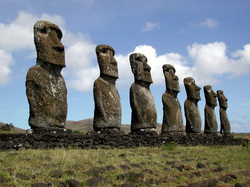 First famine, then cannibalism, set in. Because the island could no longer feed the chiefs, bureaucrats and priests who kept the complex society running, the resulting chaos triggered a social and cultural collapse. 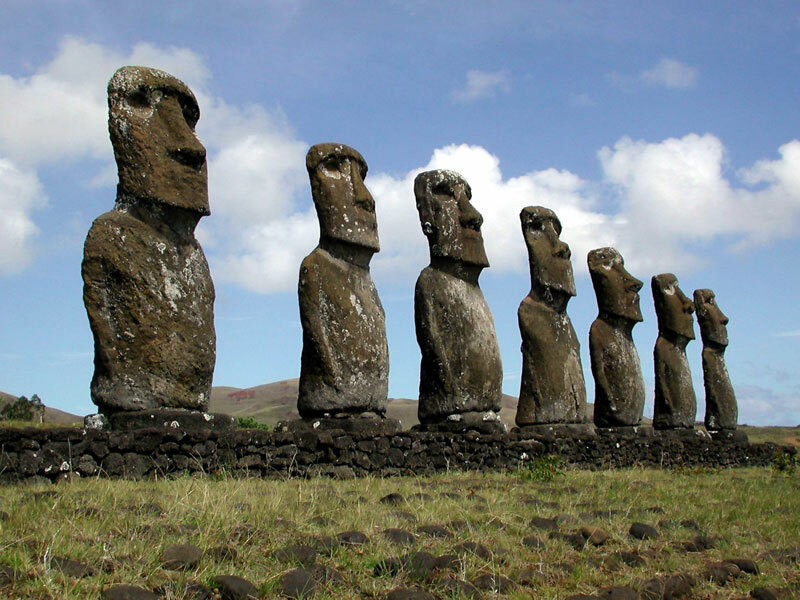 By 1700 the population dropped to between one-quarter and one-tenth of its former number, and many of the statues were toppled during supposed “clan wars” of the 1600 and 1700’s.